Yash Plastoprint was established in 2004 and is functioning as the successful manufacturer and supplier of Plastic Bottles & Jars. 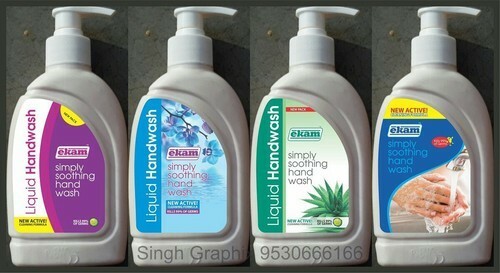 Our product range is comprehensive and includes Plastic Bottle, Plastic Coolant Bottles, Personal Care Bottles and so on. The products are appreciated for being durable, unbreakable, odorless and available in various sizes and shapes. We also provide Plastic Blow & Injection Moulding Services to our valuable clients. They find wide usage in pharmaceutical, cosmetic, food grade and hospitality industries. Our infrastructure is modernized and equipped with innovative machines for making optimum quality products. We procure our raw material from authentic and reliable vendors. Their track records are constantly checked on the basis of financial status, infrastructure and clientele. Our parameters of quality control are stringent and highly acclaimed by our revered patrons. We have a well equipped quality control laboratory for maintaining the industrial standards. The spacious warehouse has enabled us to manage bulk orders comfortably and deliver them within the stipulated time period, owing to our efficient transportation network. Our professionals are dedicated, experienced and skilled. Our client list has spread its roots across the country. We believe in retaining them for long period of time by offering them high grade customized products.